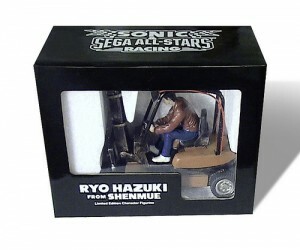 SEGA of America are giving away the above new Sonic & SEGA All Stars Racing Limited Edition Ryo Hazuki figurine via a sweepstakes event open to U.S. and Canadian residents aged 13+ with a SEGA Pass account. The figurine is very limited as only 1,000 have been made with 49 of them secured at SEGA Europe for a future competition which we’ll have to wait patiently to find out info of how to win one, we’ll inform you when the details are revealed. For more info regaridng the SEGA of America give away check out the SEGA of America Sweepstakes Page.